You’ve served us well for the past 8 years TeamSpeak! Thanks for the memories! April: Diabolos population takes a huge dip in activity, the search begins for greener pastures. May: Across switches servers to Excalibur and sets shop as a linkshell allowing the community to branch out into different free companies and establish a new social network on the server. June: Expansion Patch 3.0 hits! Awesome! July: Across camping trip at Patrick’s Point State Park California: 15 attendees from across the U.S hailing from as far as the East coast! Final Fantasy A Realm Reborn 2.5 January 20th! Are you getting psyched?! 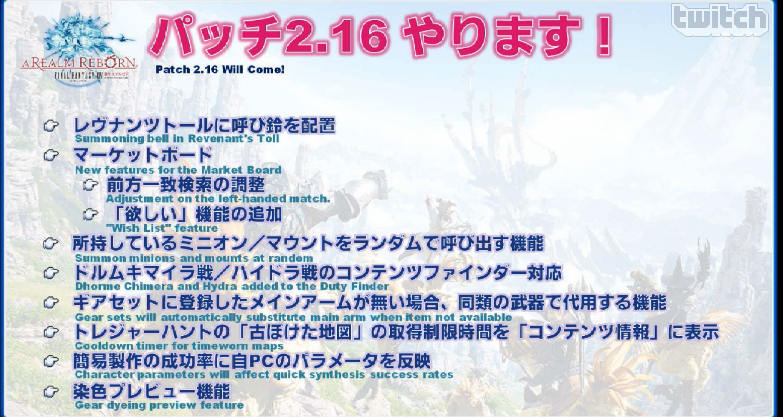 The Final Fantasy A Realm Reborn 2.5 was announced for release on January 20th! Check out the preliminary patch notes here! 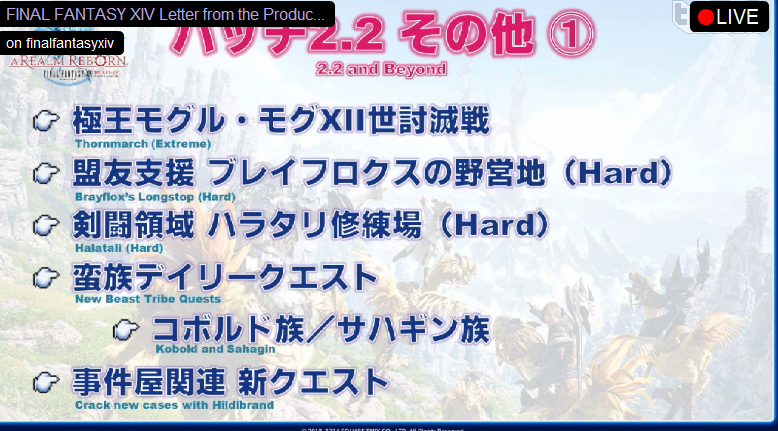 Across will be attempting to ramp up recruiting again during this patch release so get ready! Quick C&P of the patch notes for those who are too lazy to look them up.